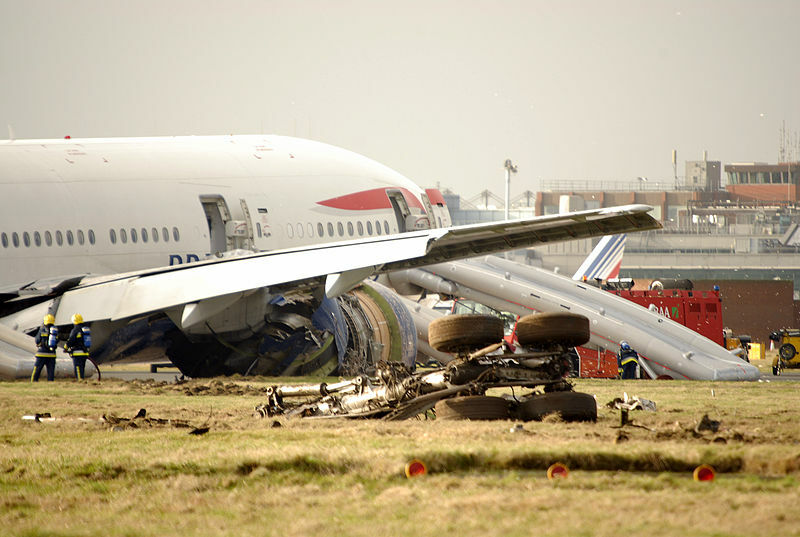 On January 17, 2008, a Boeing 777 operated by British Airways crashed on landing just short of its destination due to apparently fuel “freezing” (actually ice crystals formed clogging the fuel/oil heat exchanger). Flight through polar regions is a fact of life of global flight operations. Pilots operating flights on these routes should be aware of issues that may affect flight safety and schedule reliability due to Jet A fuel “Freezing Point” limitations. UAL tracks the fuel temperature data for their fleet. Last year 55% of UAL flights in polar regions had fuel temperatures below -35°C. UAL uses automatic fuel data collection on some of their B-747-400 and B-767-300ER aircraft. Fuel tank data is collected and down-linked to their fuel department, via the ACMS system using ACARS. The reports are triggered when fuel reaches -35°C and are sent every 10 minutes as long as the fuel remains at this temperature or colder. UAL has had a few flights operate for three, four and even five hours with a cold fuel situation. Cold fuel temperature events are defined as times when the fuel in the aircraft’s tank has reached a temperature of -35°C or lower. Data collected on some long range flights indicates a trend towards more fuel tank cold temperature events. In the U.S. the jet fuel most commonly used is Jet “A”; it has has a -40°C freezing point and is used outbound to foreign destinations. The cold fuel trend shows an increase in the number of events for flights departing from the U.S. The trend in the number of events with Jet “A-1” fuel is unclear. This fuel has a -47°C freezing point and is boarded internationally and used inbound to the USA. 41% of flights reached -37°C; for an average period of 3.5 hours and a maximum of 7 hours. 27% of flights reached -40°C for an average period of two hours and a maximum of 4.7 hours. 03% of flights reached -44°C for an average period of 1/ 2 hour with a maximum of 1.25 hours. On four Chicago to Hong Kong polar route “demonstration” flights conducted last winter the OAT reached -70°C, and fuel tank temperatures reached -38° to -41°C. The actual fuel freezing point was measured at -44°C. None of the 71 events reported for flights using Jet A-1 fuel have had temperatures below -39°C. While all of the following airports provide Jet A, notice that there is significant variation in the fuel freeze points. Not all fuel is created equal, and different airports get different mixes. As you can see, Jet A from some locations may give you more margin than others. With cold fuel events there is risk and exposure to operational problems due to the fuel reaching its specification freezing point limit. The fuel temperature limit for Jet A fuel is -40°C. However, the Flight Operational limits are set at -37°C. This 3° delta “T” is to allow for errors in the fuel temperature probes, the wiring harness, the processor, and temperature gradients in the tank. It is interesting to note that most countries supply Jet A-1 fuel which has a fuel specification limit for freezing of -47°C; most U.S. military fuel specifications require a limit of -46°C or lower, and the Russians, with lots of cold weather operating experience, specify fuel that is good down to at least -50°C, with some as low as -60°C. When operating at the specification freezing point limit of the fuel there is the risk of the fuel forming solid crystals of frozen fuel. Fuel does not freeze solid like an ice cube; but rather, the paraffins turn into a semi-solid mush with a porridge-like consistency as the temperature gets colder. This area is called a “low convection ‘mushy’ zone”. When the fuel reaches its pour-point temperature it will start to freeze along the bottom skin of the wing fuel tanks. Unfortunately, this is where the fuel pump inlets and the flapper valves in the fuel tanks are located. The fuel temperature probes are located 6 to 8 inches above the bottom of the tanks, and therefore may not measure the coldest fuel temperatures. In addition to the British Airways B-777 accident, Airbus has had some cold fuel events. It was not determined whether these may also have been a frozen water crystal problem, which may be due to the fact that Airbus aircraft have had a finer mesh screen on the inlet to the fuel pumps. Low fuel temperature is a concern for fuel flow to boost pump inlets and through fuel lines. Fuel may not be able to get to the fuel pumps and is therefore not available to be burned. The fuel pick-up screens are located at the bottom of the tanks, and although the fuel in this area may become frozen there have been no problems with pump starvation to date. This is due to the high flow to the pump, which results in a clear path through the frozen fuel. Photographs of this path show it looking like a vortex or mini tornado of liquid passing through the paraffin crystals to the boost pump inlet. The flapper valves in the webs that separate one section of the tank from the next, may be prevented from moving due to frozen fuel. This would prevent all of the fuel in a tank from reaching the fuel pump inlet, resulting in a situation where there is fuel on board but it is not available to be burned. When reaching the destination or a diversion airport, the crew may have a scenario where not all of the planned reserve fuel will be available, since part of it may still be frozen and therefore not able to be used for holding or diversion. The exact amount of this unavailable fuel is not known at this time. This is presumed not to be too significant as the frozen layer of fuel may not be very thick. The exact amount is a function of the area of the lower surface of the fuel tank. Crews should be made aware that fuel tank temperature can drop rapidly when the aircraft enters a cold air mass. The rate at which the fuel temperature declines is a function of air temperature, airplane geometry, fuel management schedule and flight time. It is possible for the aircraft skin temperature to reach -70°C. Crew training should include the need to react aggressively to counteract this situation. Descending into warmer air and increasing speed may not be effective. Additionally, because of the large mass of the fuel, the fuel will not warm back up for some time, even though the dome of cold air has been passed. The pilot sees ambient air temperature (OAT or SAT), total air temperature (TAT) and fuel tank probe temperature. TAT is a function of ambient air temperature and Mach number. TAT can be used to estimate main tank bulk fuel temperature. Actual fuel freezing point varies from the published fuel specification limit. Fuel that is all Jet A-1 or has a large part of Jet A-1 mixed in, will have a lower freezing point. This may actually reach -50°C for some Jet A fuel; other Jet A fuel may have a freezing point at it’s specification limit of -40°C. Fuel at various airports will have different freezing points depending on the supplier. The highest density fuel available anywhere comes from the west coast of the U.S. Aircraft fueled at SFO or LAX can reasonably expect their fuels to have an actual freeze point around -49°C to -58°C. On the other hand, fuel boarded at ORD consistently has a freezing level around -43°C to -44°C. Miami fuel varies greatly as its fuel supply comes from many sources and at times has lots of Jet A-1 mixed in. The freezing point can vary from -42°C to -52°C in just one day. Some of the lightest density fuels come from Southeast Asia, these will have the highest freeze point temperatures (i.e. Jet A fuel will freeze at the specification limit of -40°C instead of -50°C). Pilots must take action to keep the fuel warmer than 3°C above the fuel freezing point. If the pilots do not know the actual freezing point of the fuel on-board they must assume specification maximum (Jet A of -40°C, Jet A-1 of -47°C). Corrective actions are to increase Mach number, and/ or fly at a lower altitude, and/ or divert around the cold air mass. Fuel temperatures will be slow to respond to corrective actions because of the fuel mass. For the B-747-400 it takes approximately ten minutes to change the fuel temperature by 1°C. In an extreme case an aircraft may have to descend to 25,000 feet and increase airspeed to Mmo. Aircraft operating on polar routes will need to take corrective action to stop fuel temperature decline on some flights when using Jet A fuel which is at the specification freezing point. Current diversionary action is to fly faster, fly lower (or higher), or to divert around the cold air mass. Review Cold Fuel Procedures. Recall that with extremely cold conditions, the tropopause will usually occur at lower flight levels. When the fuel temperature approaches the limit, consideration should be given to descending or climbing to a warmer altitude. The Standard Air Temperature above the tropopause is approximately -57°C Celsius. Mach .84 provides approximately 31 degrees ram rise, resulting in a Total Air Temperature of -26°C. Ram rise is defined as the influence of air friction and compressibility on the temperature of the aircraft skin. Total Air Temperature is the temperature “seen” by the aircraft. Fuel temperature mirrors Total Air Temperature after a delay but will not decrease to a value below the Total Air Temperature. For example, if a Total Air Temperature of -42°C is encountered, the fuel temperature can drop to -42° in a little as 30 minutes if an altitude or speed change is not made. Increasing cruise speed from Mach .83 to .85 will provide one degree additional ram rise. In other words, increasing speed one Mach number (.01) will raise the fuel temperature about 1/ 2 degree. It is very likely that you will be unable to fly fast enough to make much of a difference. For a flight crew to descend to a temperature warmer than -40°C, they would have to descend to an altitude below 25,000’. Descending this low will drastically increase your fuel burn. It is very likely that this option is not a good choice. The best solution is to fly away from the dome of cold air. In order to do this flight crews need to be provided with a weather chart showing the locations of these domes. When fueling with Jet A-1 KLM requires that before fueling, any Jet-A fuel on board be transferred to the center wing tanks. This ensures that the wing tanks, which have more exposure to cold temperatures, will be loaded with Jet A-1 fuel. Some operators conduct planeside fuel freezing point testing for flights operating in cold weather. Presently the fuel has to be taken to a lab and tested. The results are then sent via ACARS to the flight crew. Jet A-1 fuel should be delivered to selected U.S. gateway airports. Aircraft flying on a polar route should be provided the actual freeze point of their fuel. Use your meteorology department to help identify areas of very cold air masses. Coordinate sharing this information about cold regions of air between your company meteorology department and your operations control dispatcher. Crews should refer to the WSI “North Pole Temp/ Trop Prog 250MB” and the “North Pole Sig Wx Prog” charts. Dispatchers should learn to route flights to avoid these areas of extreme cold air instead of staying on the best wind routes. Consideration should be given to testing the fuel as it is put on our polar flights and informing the crew of the exact freezing level for that load of fuel. This may require uplinking the test results to the flight crews using ACARS, since the results currently are not immediately available and must come from a laboratory. Use low freeze point fuel for aircraft routes requiring protection. Develop a “Cold Fuel Training Program” for flight crews flying polar routes and a “Cold Fuel” handout for flight crews flying polar routes. With special thanks for the information provided by Captain Phil Simon, UAL (Ret), portions of which have been reprinted here with permission. Pour Point is the point where there will be no flow from a 1.5-inch cylinder. At 4 degrees below the “freeze point” the fuel will reach a point where some fuel will not flow, and as it continues to cool it eventually reaches the pour point. Information from September, 1999, Boeing, presentation “Jet Fuel properties-affect on Long Range Operations…”. This entry was posted in Safety and tagged air temperature, freezing point, fuel temperature, temperature, total air temperature. Bookmark the permalink.